You'd Be Surprised To Know That Herbs Can Make You Lose Weight! You’d Be Surprised To Know That Herbs Can Make You Lose Weight! Herbs are derived from plants. They are the most natural and healthy way to boost your weight loss and stay fit and active. Herbs contain powerful anti oxidants and help fight stress. They also boost your energy levels and give you more strength. Many herbs have a high fiber content that helps control your appetite. So add a few of these herbs to your daily schedule of exercises and a healthy die to get the best results and maximize weight loss. Rich in antioxidants, green tea extract is a great fat burner. Besides the many benefits of green tea, it gives you a great boost of energy and freshness that helps you stay active. Green tea contains Catechins that help stimulate metabolism and boost weight loss. Substitute coffee or regular tea with green tea in your daily schedule to maximize results. Aloe Vera helps detoxify the body and stimulate weight loss. Incorporate aloe vera juice in your diet to improve digestion, boost metabolism and detoxify. Besides weight loss, aloe vera is also great for your skin and hair. Gymnema Sylvestre is an extract derived from Indian and African plants. It is available in the form of tablets and it works by diminishing one’s ability to taste sweetness. Studies have shown that people who consumed it ate fewer calories than those who did not. Coconut oil contains fat that does not stick to the body. Thus, adding coconut oil to your diet helps you consume less fat and also feel full. Ginseng stabilizes blood sugar levels and stimulates weight loss. It gives a boost of energy and helps you stay active and fresh. Panax ginseng particularly has been linked with weight loss. Found in the wild, reishi mushrooms were used in a lot of traditional Chinese medicines. They boost immunity and stimulate weight loss. They work great taken as a supplement along with a healthy diet and a daily exercise routine. Guggul was used as an ancient Ayurvedic remedy. It helps in reducing cholesterol level and blood sugar levels, blood sugar levels and stimulates weight loss. The omega 3 fatty acids in fish oil helps the body react differently to fat. Instead of storing it up, the acids help to burn down the fat. Fish oil also helps to control appetite. Psylium is one of the best ways to suppress and control appetite. It contains good fiber content and helps you stay full without eating much. Yerba Mate acts as a healthy alternative to caffeine. It also helps curb food craving. It boosts weight loss and by keeping you fuller longer. Other than these, there are a large number of herbs that stimulate weight loss and improve metabolism rate. Bitter orange, garcinia fruit, cacao, chickweed, Fennel seed, hibiscus, hoodia, prickly pear etc are all great additions to your weight loss diet plan. Herbs help you lose weight naturally. They increase your metabolism, burn fat and help control your appetite. Herbs such as ginseng, cayenne, cinnamon, black pepper, ginger and turmeric all stimulate weight loss and can be added as a part of your daily meals. Other herbs such as cardamom, cumin and mustard help fight weight gain. 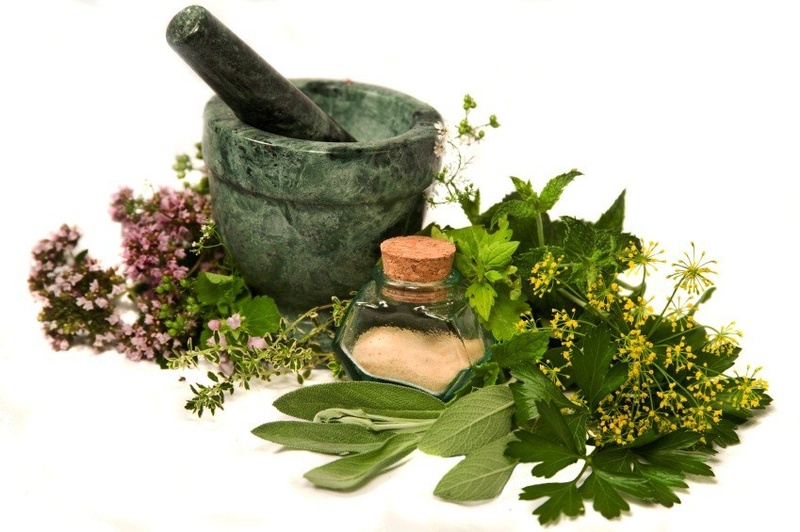 The best way to get maximum results is to opt for pure, organic herbs. Herbs are also great reserves of anti oxidants that help reduce the risk of heart disease and boost energy levels. So add a few herbs to your daily routine to get the best results!